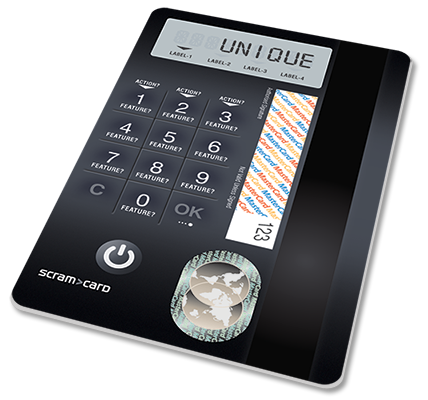 The features below represent functional characteristics of the ScramCard device. Each function delivers a method by which to address an operational requirement in support of the corresponding financial and/or authentication based features that can be configured alongside them. They also deliver alternative and economical means by which to generate incremental revenue or save operational expense. Delays in getting a new or replacement PIN is an obvious inconvenience for consumers and could mean a loss of income for the card issuer. 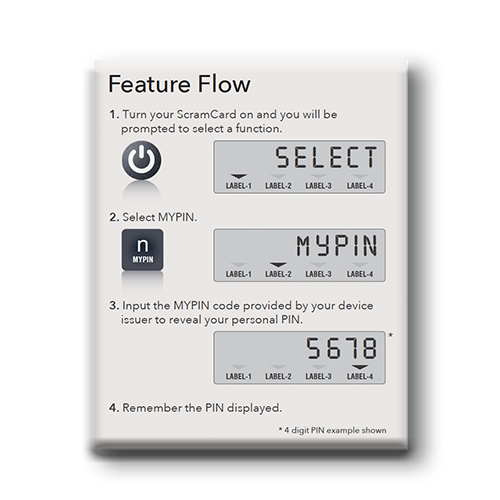 The MYPIN feature allows for the secure communication of the user’s PIN directly from the ScramCard device, allowing it to be used immediately. 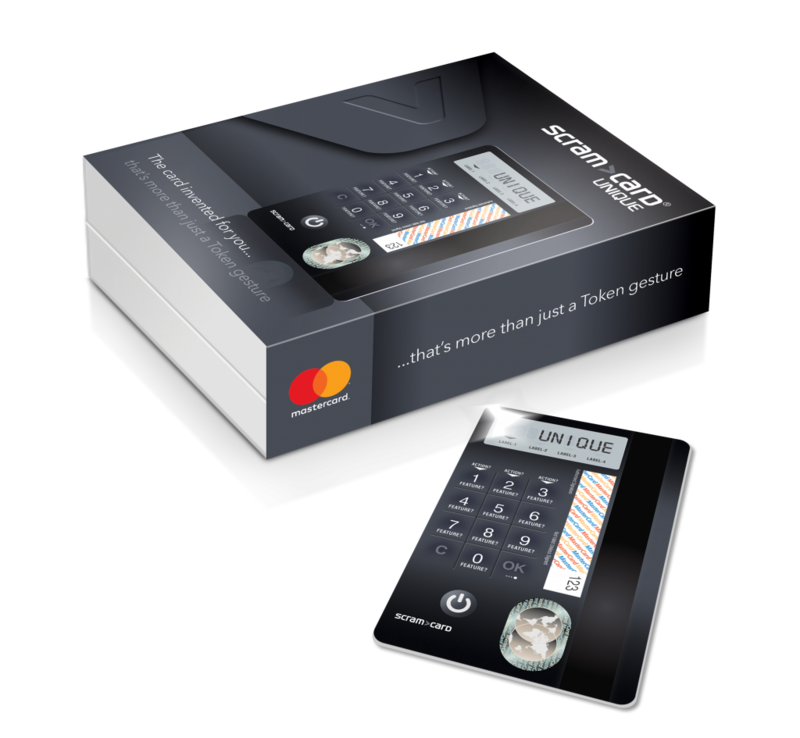 Payment cards linked to the ScramCard WALLET product are not cloned. 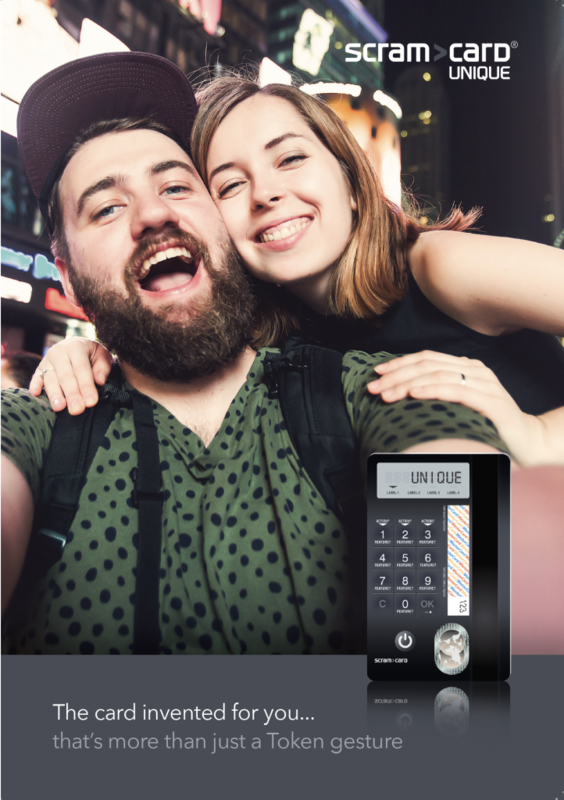 The ScramCard merely acts as a secure means by which to give users the freedom to choose which card they would like to fund a given purchase with. 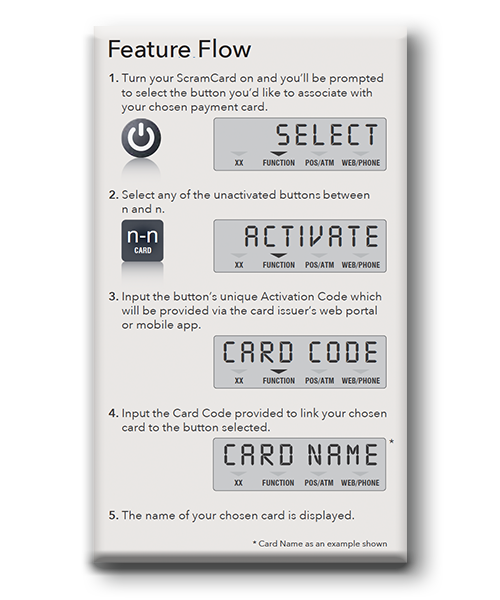 All linked card details are tokenized and are never stored on the WALLET. 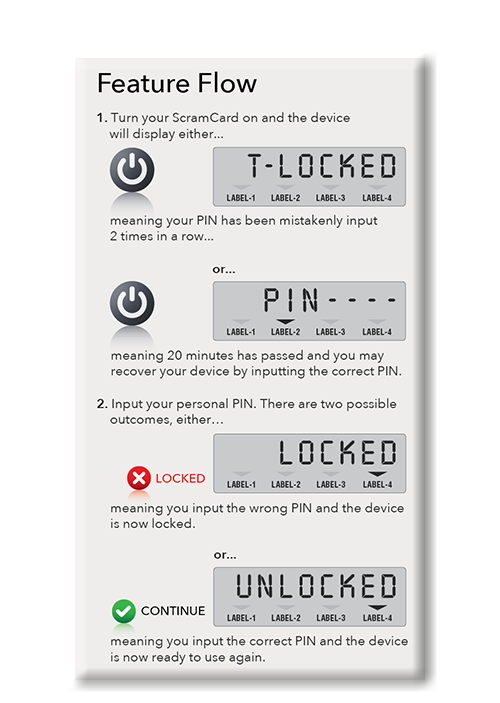 The desire to play with a ScramCard device will occasionally result in the product being temporarily locked due to the input of multiple invalid PINs. 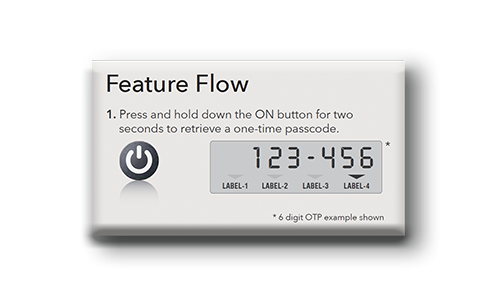 The T-LOCKED feature allows the card’s owner to unlock the card by inputting the correct PIN after a pre-determined period of time.